Today we’re going to kick off a three-part legal series with Internet, Data Privacy, and Intellectual Property Lawyer John Di Giacomo of RevisionLegal.com. John has been a phenomenal member of the eCommerceFuel Private Community, offering loads of expertise on everything from patents to trademarks to copyright infringement, and I knew I had to get him on the show to share his knowledge with our podcast listeners, as well. In this first episode of the series, we’ll be focusing on patents. There’s so much to know about the different types, costs, etc.—including whether getting a patent is worth it for stores in the $2 – $10 million range—and John’s here to straighten it all out for us. When it makes sense to get a patent. How much it costs to get a patent. 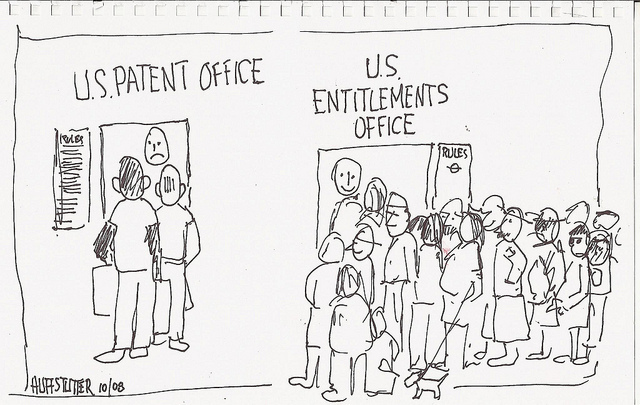 The different types of patents out there. How Amazon responds to patent disputes. Hey, guys. It’s Andrew here, and welcome to the eCommerceFuel podcast. So glad you’re joining me on the program today, and we’re kicking off a three-part series today with John DiGiacomo from revisionlegal.com. Who is John? John is an IP and internet lawyer who joined the eCommerceFuel private community, oh, maybe six to nine months ago, and he’s just been phenomenal in the community, offering loads of expertise on everything from patents to trademarks, to copyright infringement, to, you know, how to get people off your Amazon listings and fight people who are nefariously trying to claim that you don’t have a right to your own IP. In short, very generous, very smart guy, and wanted to get him on the show to talk about a whole host of legal issues. So, we’re gonna do three-part series. First series that you’re listening to now is gonna focus on patents. Next week we’re gonna talk about trademarks, and then after that we’re gonna talk about, kind of, just a grab bag of different legal issues, everything from cybersquatting, to legal implications around, you know, if you ever have to terminate an employee, all sorts of different stuff. So that’s, kind of, gonna be what this series is gonna look like. And today we’re kicking it off with patents, and we talk about a bunch of things. Patents are an interesting beast, especially for stores. If you’re listening, kind of, our core audience, the core audience on the show is, you know, seven-figure store owners, maybe some eight-figure ones, but really in that $2 million to $8 million range. And I’ve heard, you know, a lot of different arguments about, should you get patents in that range? Is it worth it? We talk about, you know, if it’s worth getting one in that range, or if you really need to be bigger for it to pay off, talk about the different types of patents: utility versus design, how to get them, how you should go about getting them, the costs, the timelines, all sorts of different things, how to defend them if there is an infraction. We really do a deep dive on patents today. So, hopefully, hope you enjoy it. It wasn’t an area I knew a lot about, so I had a lot of fun becoming less of an ignoramus on the topic. And, hopefully, it gives you some…if nothing else, gets you educated and maybe, best-case scenario, helps save you a bunch of money. But before we do jump in the discussion, I wanna give a big thank you to our two sponsors, two companies I’ve used in the past or I’m using right now. I can really get behind and put my name behind. The first one is Klaviyo, who makes email automation easy and powerful. If you listen to the show, if you’re just paying attention in eCommerce, you know these guys, you know their superpower is offering you unparalleled precision and the ability to segment your list follow-up with automated emails for just about anything to customers based on their behavior. But one feature I love that doesn’t get talked about a lot with them is their email builder. They have a drag-and-drop email builder that easily lets you create emails that look great on mobile and on desktop. For someone who has spent a lot of time trying to do this from scratch with, you know, emails I’ve sent out in the past, it’s a nightmare to try to do that, and it’s so nice that their template builder just works and makes sure that your emails are looking fantastic wherever people are getting them. So, check them out if you wanna get started with them and upgrade your email experience, make more money. You can get started with a free trial at ecommercefuel.com/klaviyo. And, secondly, want you give a big shout-out to the team at Liquid Web who offers world-class web hosting for your WooCommerce store. If you’re serious about eCommerce and on Woo, there’s no one else you should be looking at, for a few reasons. First, they’ve got an incredibly-elastic platform. If you get hit with a massive traffic surge, you’re gonna stay online. That’s, you know, not super-rare if you’re self-hosting, unless you really get into load balancers and geeking out with a lot of that stuff. So that’s cool. They’ve got managed Woo hosting, and so they have a whole suite of tools to performance-test your WooCommerce store. The entire environment is built and engineered from the ground up to allow WooCommerce to run smoothly, quickly, and without issue. And their team there is just phenomenal. These are stateside people on the phone. So you can call, get them in, you know, 30 seconds, and they really understand WooCommerce and WordPress. So there’s no better place to host your WordPress site, and particularly your WooCommerce site if you’re serious about making sure it’s running well. So you can learn more about them and get started at ecommercefuel.com/liquidweb. All right. Let’s go ahead and jump into Part 1 on our “Legal” series with John about patents. John, I’d love to kick off the discussion talking about patents. It’s an issue that maybe isn’t as quite as relevant for the majority of people, but…listening, patents are, you know…probably most of our sellers don’t probably have a patent on their item, but it’s an interesting topic. I’ve had a couple of different discussions on both sides of this, and, kind of, the question I love to pose out of the gate is for companies, kind of, in, let’s say the $2 million to $10 million range, is it worth it to get a patent if you…even if you have a product that’s patentable? And I’ve heard the case for is that, you know, if you have IP that’s defensible, you should get that patent, of course, to protect it. The arguments against it are, you know, really pragmatically, a patent is really jst a license to take someone to court. You still have to be able to fund a lawsuit, you have to protect it, which can get really expensive, especially for companies that all, you know, relatively speaking, are enormous. I’d just love to hear your thoughts from the perspective of, let’s say, a mid-seven-figure eCommerce retailer. John: Yeah, sure. So, let me start off by saying I’m not a registered patent attorney, but I litigate patents. Registered patent attorneys have degrees in Engineering. Unfortunately, I decided to study Philosophy, so I did not go down that path. But I work with our patent attorney, and I’m the litigator when it comes to these types of claims, so I know about them from a litigation perspective. So, for companies in that range, $2 million to $10 million, I would say that typically it is worth investigating patent protection, and the reason for that is because, at that range, you’re really starting to get into the point at which you can afford to enforce a patent, or which a patent will actually provide you with value. For companies in the, kind of, $500,000 to maybe $1 million range, I would say you really need to sit down with an attorney to decide whether or not patent protection is worth the money for you, because, frankly, patents are extremely expensive. A provisional patent typically runs about 2,500 USD to 4,000 USD, plus the U.S. Patent and Trademark Office filing fees. Non-provisional patents, typically for filing, range about $4,500 to about $6,500, plus U.S. Patent and Trademark Office filing fees. So it’s a pretty hefty expense. And then, once you get into the actual prosecution of a patent, sometimes you’re looking at anywhere from $2,000 to $5,000 in prosecution fees. The difficulty with patents, especially, and the reason why they may not be appropriate for, kind of, the lower-revenue businesses, is that the cost of enforcement is extremely high. And due to the way that you obtain damages in a patent infringement lawsuit, which typically is based on a reasonable royalty for the licensing of the patent, there’s not a huge incentive for attorneys like us to take contingent fee cases. So, when the incentive for an attorney to get paid is basically taken away, that means that the business has to pay themselves. And when you’re talking patent infringement claims, you’re talking anywhere from $350 an hour, all the way up to…if you’re, let’s say, in San Diego, $880 an hour. So, that’s a, kind of, real large barrier to entry for a lot of people, as you can imagine. So, I would say it is worth investigating for companies in that range, but you really need to sit down with somebody who’s, kind of, gonna be budget-conscious, and discuss that in comparison to other options, and whether or not it’s right for the type of product that you’re selling. Andrew: And you mentioned a provisional patent versus, kind of, a full-on patent. Can you give a summary, quickly, of the differences between the two? John: Yeah. A provisional patent is typically a placeholder. It’s basically something that you file typically for about a year period that allows you to claim patent pending. And a lot of people in the eCommerce space are doing that so that they can use the “patent pending” term to ward off potential infringers or individuals who are kind of trading off on their goods. However, after that time period, you have to convert it into an actual application, utility application. A provisional patent isn’t published, so basically the claims are not subject to review or to challenge. Really, once you start to get serious about it, you have to solidify the claims of the patent, and the claims are, kind of, the old English words that specifically denote what the item does, which are the most important part. So, that’s why when you go from a provisional patent to a non-provisional patent becomes more expensive. There’s really a lot of work that goes into those claims. Andrew: Oh, yeah. I was gonna say, so, provisional, kind of, the easier, kind of, get your feet wet, gives you time to get all your ducks in a row for the real thing. If somebody is…you, kind of, mentioned even before that, let’s say in that $500k range, not ready, it doesn’t make sense to file one yet. How should they be worried about somebody coming in, and let’s say they have a proprietarily-designed product out in the wild, they have, you know, proof of it’s out there, they have…I don’t know if “prior art’s” the right term, but it’s…not prior art, but they have it out in the space so it can be seen. Do they need to worry about somebody coming in, and swooping in, and stealing that patent from them? Or how should they be thinking about what their risk is of losing out on the IP if they don’t file a patent for it? John: They do. So, when I was in law school, and I took patent classes in law school, it used to be that you could be the first to conceive, and then still obtain a patent even if somebody attempted to file first. Approximately five years ago, there was a new act adopted called the America Invents Act, and that turned the U.S. patent system from a first-to-conceive to a first-to-file system. So the risk is now real that an individual could beat you to the race and file first, and then ultimately preclude you from getting patent protection. So, yes, if you’re currently selling an item out in the public, it is…and you want to investigate patent protection, it’s important to, kind of, talk to an attorney early now as opposed to later, whereas in the past it didn’t have to be that way. Andrew: Okay. So you could actually design the whole thing, have it out there, it’s obvious, it’s publicly…you know, it’s easier to prove publicly you’ve created this, but if somebody else files it first, even though you’ve actually got it to market first, you could potentially lose that IP? John: Yeah. That’s a real risk now, definitely. Andrew: Okay, interesting. What are your thoughts…and this isn’t as applicable to, I think, merchants or people listening as much as it’s just an interesting, kind of…you’re a philosophy guy, philosophical discussion, like the merits of the patent system. There’s so much…so many big corporate companies are buying up IP as, you know, they have…you’re just buying up patents like crazy, defensively it seems like as much for the IP. And then, I remember one of the first articles I wrote on eCommerce four years ago was…a patent troll came after me when I was running Magento because we had layered navigation, and they just tried to bully a bunch of people. It seems like the patent system has improved a little bit the last five years, just…I’m talking kinda just anecdotally from reading a few articles here and there. Do you feel like it’s less dysfunctional than it used to be? Are we making progress in the United States in this area? John: Yeah. We’re definitely moving in the right direction. So, a couple of years ago it was that you could file the Northern District of Texas, which was a very patent-friendly jurisdiction, and you could essentially force somebody into settlement almost immediately, because the cost of litigating a case within that jurisdiction, and the friendliness towards patent owners really made life difficult for defendants. And so that created this world of patent trolls, or what we call non-practicing entities, people who would buy up portfolios and then they would use those portfolios to sue people who they believed were infringing. And so, now what has happened…and also through direction from the U.S. Supreme Court, there was a recent case called Alice that kind of changed what the test for a lot of patents are, specifically with respect to software patents and to business method patents. So a lot of those kind of specious patents that we saw in the past are going away, or at least…you know, at the very least, they’re being challenged and those challenges are succeeding. And then, there is also, kind of, an additional push from the Federal Circuit. The Federal Circuit is a court that particularly hears patent claims, and more of those claims are now going to that Circuit, and that Circuit is becoming…scrutinizing patent claims more closely. So they’re starting to invalidate more patents based on over-breadth, or for other reasons. So we’re definitely seeing a sea change, which is good because a lot of lawyers were getting really rich off of, kind of, terrible claims, and that’s a good thing because it also stifles innovation. And I think the court system and Congress, as well, kind of saw that innovation was being stifled by these patent suits. Andrew: Why should somebody do…let’s say I have an idea for a product. Actually this is a perfect example. There was a Kickstarter I backed yesterday for a French press that can make coffee, the French press. It’s great, except to clean up is a horrendous nightmare. And I never seriously…but I was like, “It’d be great to design a French press that just, you know, pushed everything down, made the cleanup easier.” When at Kickstarter the other day, somebody did a much better job than I could have designing it. Was beautiful, backed it, but I realized they had a patent pending on it. You know, so I can…it’s potential or it’s very futile where you could get into a situation where either you design a product and you get done with it, you invest, you know, months, if not years. You come to the end and you find out somebody else has the IP locked up for it, or maybe even you design a product or tweak a private label, or something, and you also run at the same thing. You crank at a, you know, $5,000 with your first run after your short, you know, test run, and you find out you’re in violation of a patent. What should people be doing before they invest a lot of time in designing proprietary IP to make sure they’re not infringing on somebody else’s patent, and they’re stuck holding a bunch of inventory they can’t potentially sell? John: So, a lot of people would say, “Well, you should do a patent search first,” and I completely agree with that, but when I say that, I mean you should really talk to an attorney, because a patent search…there’s a lot of things in the world that you can do yourself, but a patent search is not one of them. I don’t even feel comfortable doing them, and I’ve taken Patent Law, I’ve litigated patents. Andrew: What would it roughly, ballpark, cost to do a patent search with an attorney? John: It could be anywhere from $500. If it’s something that is subject to a lot of prior art, it could go all the way up to maybe $2,500. Andrew: So, yeah, not that crazy. John: Yeah. It’s not a huge expense, and it’s a pretty good return on investment, because if you find that there are actionable patents out there that, you know, they’re not fake or they’re not subject to challenge, then a really good patent attorney can work around them. Patent attorney is…when I say a really good patent attorney, I mean somebody who’s really skilled in writing those claims that I talked about earlier. If you’re really good at writing claims, you can identify the actionable claims, those claims that a court would support, and those claims that a examining attorney at the Patent and Trademark Office would support, and then you can work backwards from there, and work around them and find another way to either describe what you’re doing or to avoid any infringement challenges. Andrew: So, when you say “really good at writing claims,” does that just mean really good at understanding the way in which patents are worded to protect certain aspects of a product, and describing your product in a way in which people who are gonna issue it, or courts are gonna say, “Hey, that’s different. That’s not infringing.” Just really being really smart and understanding the framework so that you…even if it’s functionally very similar, that you’re describing it in a way which makes it so it doesn’t violate in the patent? John: Yeah, both. So, being a good patent attorney is kind of twofold thing. It’s, one, you are really good with language and you can describe something in a way that doesn’t trigger an infringement analysis or potential infringement, and then, two, you have the intuition to kind of see how you can get past hurdles either in litigation or at the U.S. Patent and Trademark Office. Andrew: What should you…let’s say you didn’t listen to this podcast, you went out, you’ve got 5000 items of a product, you get them, they land. The next day, after you unload the entire crate, or the entire container, you get a cease-and-desist from a company, claims that you are, you know, violating, you know, their patent. How should you be thinking about that? Obviously, chatting with an attorney is potentially, I’m guessing, part of that, but what are your next steps from there, from a strategy or, kind of, you know, thinking through the risks, versus the upsides of complying versus not complying, understanding if you actually have a case? John: Well, there’s a couple of things that you can do. One, obviously talk to an attorney, like you said. That’s always the attorney answer. “Talk to an attorney. Pay us. Pay us to do something.” The other thing to think about is, “Well, what am I gonna do with this inventory?” And a lot of times, because the damages for a patent infringement are a reasonable license, a good attorney can reach out to the other side and say, “Okay, you caught us. We’ve got, you know, 8000, 5000 pieces of inventory. I don’t wanna burn these. What do you want me to do with them? Do you want to just cut a deal?” So, yeah, I cut my margin by 10%, but at least I’m getting rid of this and I’m not completely out of pocket. So there are a lot of ways to get out of those really sticky situations, but you really should talk to an attorney about it. Andrew: You mentioned Amazon in there, and, you know, kind of, Brand Registry 2.0, they’re getting a little bit all over perfectly better at, kind of, allowing sellers to identify and protect their IP. How do they deal…how does Amazon responds? Like, if you can, maybe talk to that situation. Does Amazon reach out to you from someone who’s interested in talking to you personally, and they want to understand what’s happening, and they give you a chance to respond to work with, you know, the party who’s accusing you, or do you just get…you know, do you just get a shortcut email from a nameless customer service rep and your account is shut down? Like, how open are they…how good are they with working with you when issues like this arise? John: If the issue is in litigation, Amazon is pretty good. Their internal legal department in litigation is actually really sophisticated. You know, obviously the smartest people in the country doing this type of stuff. So they typically will work with outside counsel, and they will contact the lister, and they’ll say, “We’ve received patent infringement claim. When you signed up to sell items on Amazon, you’ve agreed to indemnify us. And that’s when the person who’s listing on Amazon comes to a firm like us and they say, “Okay, help. What do I do? Get me out of this. I don’t wanna pay Amazon $800 on our attorneys. What do I do?” And then, kind of, we get involved and then we negotiate to solve the issue, whether by settlement or, if necessary, litigation. Andrew: Let’s say you’re on the flipside of that. Let’s say you’ve got something, you’ve got a patent, and there’s a bunch of people are ripping it off on Amazon selling. Maybe they just…they have their own version of it private-labeled, but it’s obviously infringing on your patent with whatever it is that they have. What is…how should that person go about trying to reach out? Does it make sense to first, you know, just send them an email just by yourself before you, like, get into a cease-and-desist, and then you get a full-on lawsuit? Like, what is the escalation look like if you’re being smart about that, and what things shouldn’t you do if you’re gonna try to defend your own IP on Amazon with a patent? John: I would say that it is important to target both parties with a demand letter. And the reason for that is because you can force…typically force a seller to do something if their account is in jeopardy. Andrew: When you say “both parties,” do you mean the offending seller and Amazon? John: Yeah, correct. And the reason for that is, like I said, if the seller is a foreign seller, the risk to them is fairly low because jurisdiction is going to be an issue. So really what you’re trying to do is you’re trying to cut off the sales channel, and then potentially get access to those income streams, the payment channels, maybe you cease some revenue from Amazon. So, I think it’s important typically to send the letter to both people, put them both on notice, and then use that additional leverage that Amazon provides you through the indemnification clause to kind of roll on the infringer to try to get them to stop doing what doing. Andrew: Does it ever make sense to just try to reach out as opposed to…you know, try thinking through definitely there’s time and place for bringing in outside counsel, having all that, but what about just starting things out with a, “Hey, here’s the deal. We have this patent you’re violating. This is a friendly, you know, ‘Stop, cease and desist right now. If you don’t in the next, you know, 15 days, you’re gonna hear from my lawyer? '” Advise? Not advise? Andrew: That’s gonna be the title on this episode. John: No. Of course. If you can solve something like this through a business solution, absolutely. Again, when you go into law school, they change your brain in a way that is not recoverable. So, yeah, if you can send a letter and you can get somebody to stop just by being nice to them, I would always recommend that. A business solution is always better than hiring attorneys, sending off demand letters, absolutely. Andrew: Okay. But, no, I guess what I should have…a better question would have been, is there any downside to reaching out to somebody in an IP case like that directly versus from a lawyer? Any downside that you can see? Or is it just maybe potentially the loss in time to get something resolved is the only downside? John: I think the loss of time is always an issue. There’s always an issue potentially of a waiver, where you say something that would affect your rights. Most business owners aren’t dumb enough to waive their rights in initial conversation with a potential infringer. So I’m not overly worried about it. A really conservative attorney would say, “No. You need to go through official legal channels always.” I think business owners are often smarter than attorneys, and they get the stuff done without causing any risk to themselves. Tips on Negotiating Licensing Deals, Revenue Splits, Etc. Andrew: Got it, yeah. Thinking about the value, how often do you see…if somebody has a patent, do you see licensing generally being pretty one of the best venues, especially if you’re a smaller seller, again, $2 million to $10 million in sales, the best way to be able to monetize a patent? And if so, any thoughts on what to think about when you’re negotiating licensing deals, rough revenue splits, things like that? John: So, licensing is kind of the dream scenario. It’s, you make money while you sleep. So I think if you are a $2 million to $10 million company and you can make money while you’re sleeping, and you can do it in a way where you’re not going to lose your rights, and control that revenue stream so that it doesn’t affect your reputation, that’s a great idea. Things to look for, I would just look out for potential infringement issues where, you know, somebody gets access to your technology and then uses it to manufacture overseas. I would look for the terms of the agreement to make sure that you’re getting a license arrangement that ultimately isn’t going to lose you money over the long term. There’s a lot of license terms that potentially could cause you some upset. And that’s really it. I think, again, it’s just a kind of an analysis of the business terms, and not to quote Ronald Reagan, but the old, “Trust, but verify” ideology of, you know, keep an eye on who you’re licensing your product to. Andrew: When you say…that latter scenario you said where you can get terms and it will cost you money down the road, can you give an example of a deal or a deal structure that you wouldn’t think upfront would cost you money, but ends up being a pretty raw deal down the road? John: I think the great example is the idea that “Star Wars” never made money. So there’s always license terms where if you…let’s say it’s net sales, or something along those lines. There’s always a way to hide the money. So you have to be really careful when you’re negotiating terms to make sure that you’re getting a royalty based on gross sales, you’re not getting a royalty based on net sales, or those types of things where ultimately you’re not getting nothing. You’re actually getting what you intended to get. Is It Possible To Be a Modern Day Edison? Andrew: Do you see many people…and I think I know the answer to this, but I can’t help myself from asking, this kind of idea or concept of, like, an adventure, an Edison-style person who just comes with the idea, gets the patents, creates an entire collection of patents and then licenses those out, and that’s how they make their money, or, you know, either support themselves or do exceptionally well. Do you see many people actually able to pull that model off, or is that kind of pretty difficult to swing, and most of the licensing you see comes from companies who develop, kind of, internal IP, and it just happens to be a good fit for someone outside? John: It’s pretty rare, but it’s not completely unheard of. As you know, I live, kind of, in the middle of nowhere just because I can…not really in the middle of nowhere, but northern Michigan. And so I just see sometimes inventors who create things in their garage and they’re, you know, 10-time inventors, multiple-patent holders, and they’re really good at it. And they just…they understand how to approach a company, they understand how to license their IP. That’s…it’s a more rare scenario. A lot of times we’ll see companies that are developing stuff internally, and then every once in a while we’ll see kind of a smaller inventor, let’s say a retired guy who finds a new way to do something or an improvement on an existing invention, and he will approach a manufacturer and cut a deal with the manufacturer because he can’t do the capital outlay necessary to get the molds, or whatever it might be. That happens as well. But kind of the Einstein, you know, in his basement, it’s really not that common. Andrew: Is there any kind of rule of thumb…and, of course, it depends, I’m guessing, on how well you can negotiate, how, you know, valuable the patent is, but rough-ballpark rule of thumb on the percentage of…percentage that you would give on a licensing for a product. Is it, you know, in the 1%, 2% range, 15%, or is it really just totally very based on the product and the situation? John: So, it completely varies. And the way that a lot of people are doing it now is they…and I’m gonna pitch a client right now. They have…there are things called licensing aggregators. And so we have a client called IntangibleSpring, which pulls SEC, Security and Exchange Commission filings, and they do analysis of licensing deals. And so, they can basically take a market segment, and they can give you an idea of, kind of, what larger companies are doing within that segment, and then we use that to inform our decision as to, kind of, what we want to look for when we’re negotiating a license deal. Really sophisticated stuff. They also do transfer pricing, which, kind of a tax issue. But now there are these kind of data aggregators out there. It’s a lot easier than it used to be. Andrew: Is there a difference between a design in a utility patent? And if so, can you help me understand what that is? John: Yeah. So, a utility patent protects useful creations. They protect, kind of, the traditional inventions. And those last for 20-year terms, typically take about 1 to 2 years to prosecute. Really, the average is about 32 months, but I usually tell people 1 to 2 years. They, kind of, protect the actual invention. Design patents protect decorative rather than useful creations. They don’t have the claims that the utility patents have. The burden is on the patentee in infringement cases. So, instead of the burden being on the patent holder in cases of utility patents, a design patent holder sues you, the design patent holder has to show that the design patent is invalid. Those last 15 years. They’re cheaper. They typically cost about $1,500 to $2,500. I’m not a huge fan of design patents. I don’t…a lot of times I don’t think they’re worth the paper that they’re written on. Some people swear by them, but there are…design patent falls in this, kind of, just a weird area of the law, because both trademarks, copyrights, and design patents can be covered by the same, or can cover the same thing. So, a lot of times, copyright protection is cheaper, and it provides equally the same value as a design patent. So, a lot of times, I kind of push people towards copyright protection, but some people swear by them. Andrew: Anything else to mention or think about, as we kind of wrap up the patent section here, for people listening? John: I would just say, if you have a product that you believe is actually going to make money, and you have an existing sales channel, that’s when you should start looking at patent protection. Again, I’m not a patent attorney, but I’m hesitant to push young entrepreneurs or first-time entrepreneurs into the patent realm because it’s so very costly. So, if you’re going to do…if you think you want a patent, definitely talk to an attorney, but try to find one that is budget-conscious, and understands how to prioritize, especially in relation to whatever your sales numbers are, and then just be careful, because a lot of people will try to sell you things that are expensive, and provide you with no return on investment, and you should just definitely be aware of that. Attorneys do it all the time. Andrew: Does it make sense…when you’re talking about kind of stuff, when does it make sense to proactively go over and try to get copyright protection, trademark protection, even, potentially, patent protection, patents issued in China domestically so that it has a little more teeth…I’m guessing it’s easier to enforce, of course, versus, when does it make sense to just only play…you know, be reactive when you run into an issue then go over and try to get the things filed in China? Does it ever make sense to, kind of, be ahead of the ball or is it enough of a cost and a pain that usually it makes more sense to wait until you have a problem, and then go over and try to get the IP filed officially in China? John: I never really advise people when it comes to international issues to be reactive. It’s always, always better to be proactive in international issues, especially in China, but it’s really based on budget. So if you are selling a ton of product, and you see that first counterfeiter come across the line, that’s when I would start doing something about it. I’d contact an attorney, and especially contact an attorney that has connections in China, because China itself, it’s a totally different marketplace, it’s a totally different world, it’s a totally different political system. And so you really need to find local counsel in China that knows what they’re doing and knows how to navigate that weird…weird from our perspective, but it’s a completely different system. So, again, I don’t think it’s smart to be reactive. I always am, kind of, pushing people to be proactive. If you have to be reactive, call an attorney as soon as you possibly can, as soon as you can afford it, because being reactive often means that there’s a lot of difficulties trying to solve the problem after the fact. One of the key difficulties is trademark squatting, which is now a real, and very sophisticated industry in China, and domain squatting is another one that’s been around forever in China, but it’s becoming more prevalent as well. Andrew: In terms of the timeline, the cost…obviously, a completely different system, it’s gonna be, of course, you’re not gonna be able to reuse everything from the States. But how much…how similar are they. And, if you’ve done everything in the U.S., how much of a advantage or cost savings, or head start do you have in terms of getting it all done in China? John: It’s actually cheaper. Trademark registration is cheaper in China, and copyright registration is, for the most part, about the same price, though there are some cases where prosecution of a copyright might be a little bit more expensive. So, if you’re looking at your, kind of, budget for legal services, people will start to think, “Oh, China is not a good place for me to work on a strategy,” but it’s actually really cost-effective to work on a strategy in China, and actually across the entire Asian world. Andrew: Interesting. And so, what would be the biggest…the best enforcement mechanism? Let’s say, for the sake of argument, you have somebody who is, you know, just totally ripping off your brand. Let’s say you sell sneakers called, you know, Fly-by-Nights, and that’s a terrible name. Let’s say, you know, Night Fliers…you know, probably actually out there. Apologies if there are. You sell Night Fliers sneakers, and there’s a company that is just branding…they’re completely ripping off not only your product, but you’re packaging, your branding, your logo, just completely counterfeiting it. What…when you’re gonna try to enforce that, and get them to stop sending those goods, either selling them, drop shipping them from China, or shipping them over to other people in the U.S. who are distributing them, what is it…just how would that look in terms of shutting them down? Would it be something where you’d actually take them to court, like you would in the United States? Would you take a…you’d work directly with, kind of, the customs? Would, you know, the officials actually go and close the factory or raid the factory? I’m sure it maybe varies by case, but is there one mechanism or one part of the supply chain that’s the easiest to hit to shut down those kind of issues? John: It varies by case, and it also varies by sophistication of the client. So, with smaller clients, typically the best type of protection is going to be copyright protection. And, again, I’m not a Chinese attorney, so I’m speaking out of line on this, but this is my understanding working with our Chinese counsel on cases like this. Typically, copyright protection is going to be very helpful within China, and that will help you, kind of, stop items from being…from crossing the border, from being exported. It’ll help you with respect to service providers like Alibaba, or AliExpress. Finding good Chinese counsel, as well, who has a relationship with those service providers is also extremely helpful. Our current Chinese counsel is great. She’s got a direct connection to Ali, and, you know, she can get stuff done really quickly, and it’s pretty amazing. For larger clients, there are spheres of influence, just like any other part of the world where if you can, kind of, show the depth of the level of infringement, and you have deeper pockets, you can get more stuff done. I have not yet closed down a factory, but I know friends of mine who have, and, typically, it’s a large client with a lot of money. They’re able to use some of that money to, kind of, work for them, I’ll say, to get things done within that market. And, you know, that’s what it takes. It takes just a larger client with a real brand problem that can…that has an international presence, and, kind of, the long-arm reach that smaller clients don’t have. Andrew: Makes sense. Is there anything that…Hong Kong is kind of its own…it’s part of China, but, you know, it’s much more autonomous than the rest. Do you have to worry about…are they different legal systems where you have to apply for a lot of those…you know, the copyright trademark patents in both Hong Kong and China? Or if you do China, will it take care of Hong Kong? John: This is a question that I don’t even know the answer to. I’m almost 100% sure there are different legal systems, but my partner Anderson, like I said, who used to work at the Hong Kong Copyright Office, handles all that stuff for me. So, I suspect that the answer is, yes, they’re different systems and they would require different filing mechanisms, but I’m not sure. Andrew: Hey, it’s Andrew here jumping in. So that’s gonna wrap up Part 1 of our “Legal” series with John on patents. Next week we’re gonna continue the discussion talking about trademarks, different types of trademarks, why they’re important to get, just do a deep dive like we did today. So if that’s interesting, make sure to check back in next week for that part of the discussion. That’s gonna do it for this week’s episode, but if you enjoyed what you heard, check us out at ecommercefuel.com, where you’ll find the private vetted community for online store owners. And what makes us different from other online communities, or forums, is that we heavily vet everyone who joins, to make sure that they have meaningful experience to contribute to the broader conversation, everyone who we accept has to be doing at least a quarter a million dollars in annual sales on their store, and our average member does seven figures plus in sales via their business. And so, if that sounds interesting to you, if you wanna get, you know, connected with a group of experienced store owners online, check us out at ecommercefuel.com where you can learn more about membership, as well as apply. And I have to, again, thank our sponsors who help make the show possible. Klaviyo, who makes email segmentation easy and powerful. The cool thing about Klaviyo is they plan your entire catalog, customer, and sales history, to help you build out incredibly powerful automated segments that make you money on autopilot. If you’re not using them, check them out and try them for free at klaviyo.com. And finally, Liquid Web. If you’re on WooCommerce, if you’re thinking about getting on WooCommerce, Liquid Web is the absolute best hosting platform for three reasons. One, it’s built from the ground up for WooCommerce, and optimized by some of the best industry professionals in the WooCommerce and WordPress space that really know the stuff, and it’s highly elastic and scalable, as well as comes with a whole suite of tools and performance tests to optimize your store. You can check them out, and learn more about their hosted WooCommerce offering at ecommercefuel.com/liquidweb. Thanks so much, for listening. I really appreciate you tuning in, and looking forward to talking to you again next Friday. Want to connect with and learn from other proven eCommerce entrepreneurs? Join us in the eCommerceFuel private community. It’s our tight-knit, vetted group for store owners with at least $0.25 million in annual sales. You can learn more and apply for membership at ecommercefuel.com. Thanks so much, for listening, and I’m looking forward to seeing you again next time.